This entry was posted in DIY, Uncategorized and tagged Chie Mihara, DIY, skirt, sussan, warm by lillipilli. Bookmark the permalink. This looks so simple I might actually be able to do this with a 5-months-old seeking attention. I adore the fabrics! They look great. 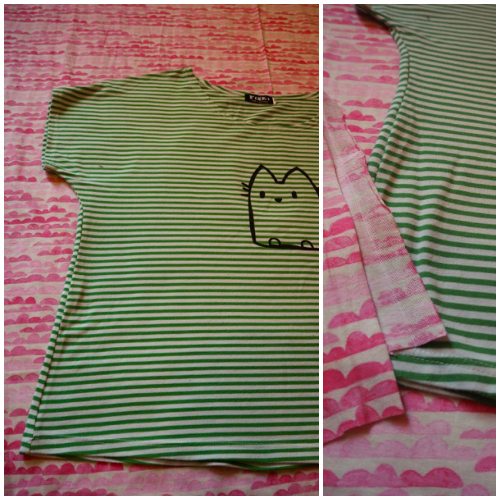 I might sew, but I always forget about the ease of making new tshirts with the cut on sleeves. 🙂 Thanks for the inspiration! I could even break out a double needle. Still haven’t used one. 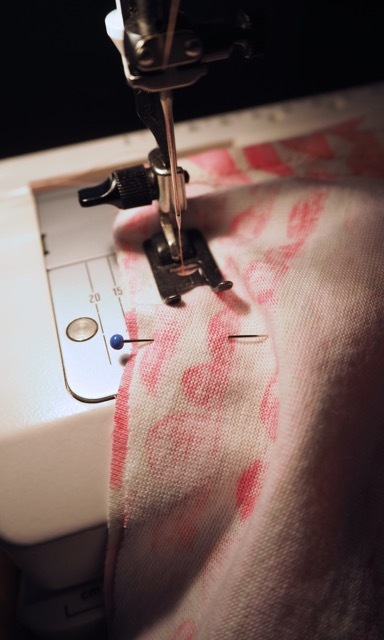 I have got to learn to sew. This does it. 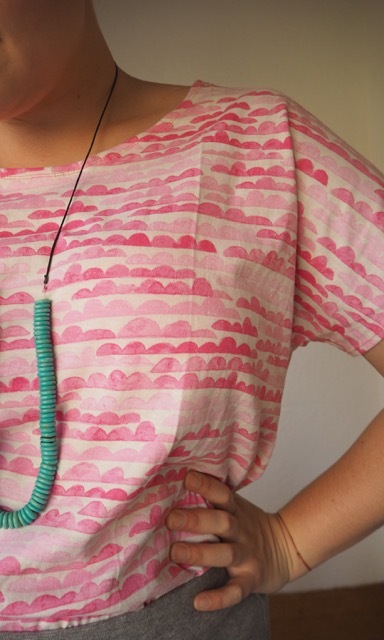 That shirt is so adorable, and I love the idea of using stuff you have as a template. Genius! And seriously that haircut is so perfect, it’s making everything you wear look even better than usual. Love! Thanks Molly! 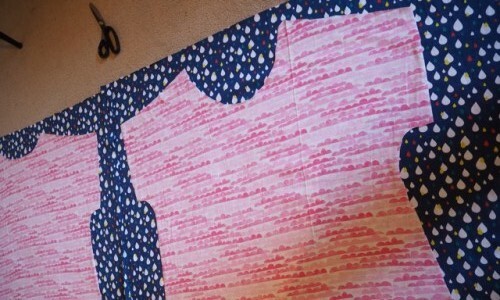 This is a really easy project, and Spotlight has some great fabrics at the moment for really good prices. I’d definitely give it a go! 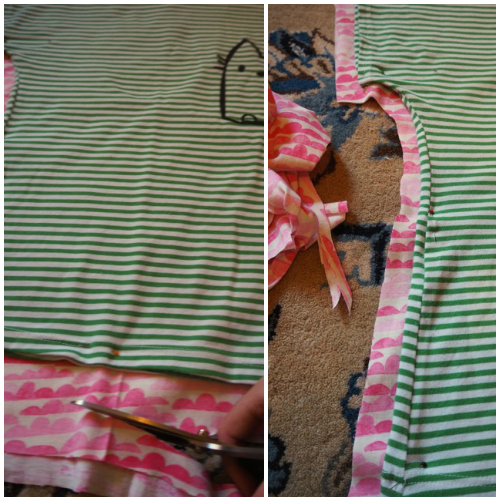 btw, if you sew your shoulder seams first, then you can finish the neckline and have it be smooth all around. It’s a little trickier since you’ll be dealing with a closed circle but it’s not too hard with the side seams still open. Good tip, Robin – thank you! Glad you’re enjoying reading! 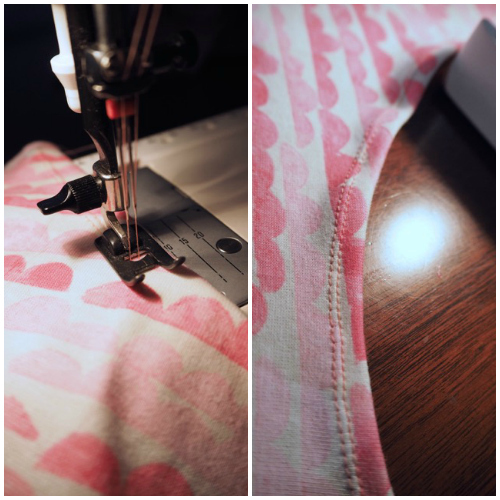 I have a sewing machine (my grandmother’s) and I’ve been dying to learn how to use it. 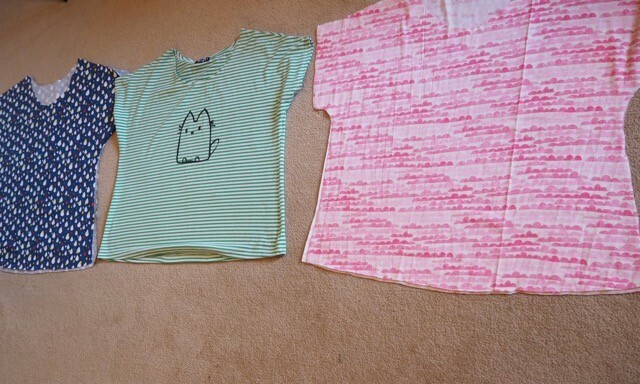 Up until now I only hand-sew which was ok for my kid’s costumes but not much more. 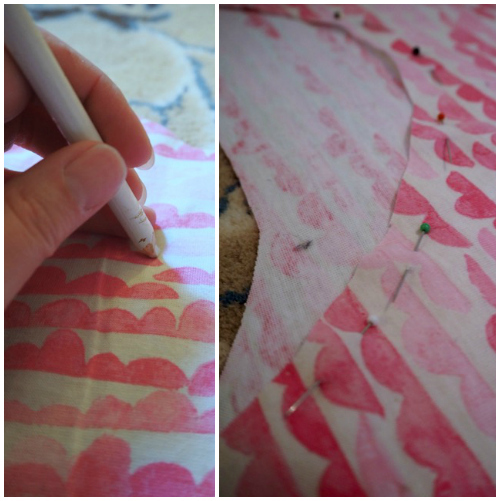 This post really inspired me to take a leap and try real sewing. Also, I need to say this (although I’m sure I’ve wrote this in the past): your blog inspired me (and still inspires me) to push my boundaries fashion-wise. Thanks to your blog I have started wearing colors, skirts, dresses and all those other items that I have been too self-conscious to wear. I’m actually wearing purple jeans now! Thanks for the heads up, Dikla! I can’t get the link to work at the moment, so I’ll have to give it a try later and hopefully it’ll be up again. I’m so glad you’ve been looking at local designers, you ‘ll have to let me know how you go! And thank you so much for sharing the blog around, too!